March 28, 2016 – The National Security Space Institute (NSSI) at Peterson Air Force Base will realign under the Air Force Institute of Technology on April 1. The goal is to bring all space, cyber, and nuclear professional continuing education under one organization per direction of Lt. Gen. Darryl L. Roberson, Air Education and Training Command commander. The Space Commission Report of January 2001 noted military space professionals lacked a dedicated development system designed to grow senior leaders, elevating the need for more space-specific education and training. In 2004, the Air Force Space Command established the NSSI to provide continuing education and training to United States and select allied space professionals. Approximately five years later, in 2009, the NSSI transferred to the Air University and was aligned under the Ira C. Eaker Center for Professional Development, Maxwell Air Force Base, Alabama. After consideration, leadership decided not to physically relocate the NSSI, but rather keep it in Colorado Springs, the center of gravity for the Department of Defense space community, said Col. Richard B. Van Hook, NSSI commandant. 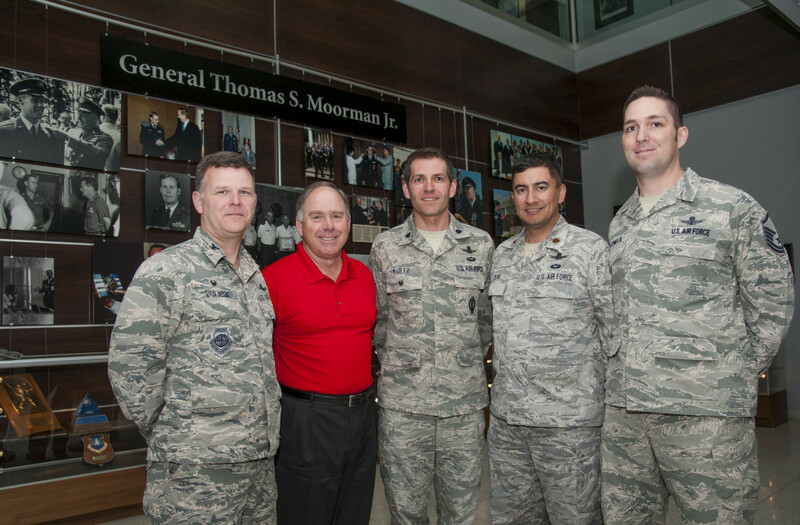 This realignment under AFIT is the direct result of a vision jointly developed by Lt. Gen. Steven L. Kwast, AU commander, and Dr. Todd I. Stewart, AFIT director and chancellor, to bring together schools with parallel and complementary competencies and missions. Although realigned under AFIT, the NSSI will remain at its Peterson AFB location and classes for current and future NSSI students will be unaffected. The NSSI will continue to offer their core classes and graduate more than 800 space professionals every year. Just as their 12-year history has proven, the NSSI will continuously evolve to meet the needs of the military space community, solidifying its role as the DoD’s center of excellence for space professional continuing education while constantly striving to impart graduates with the best possible educational experience, said Van Hook.